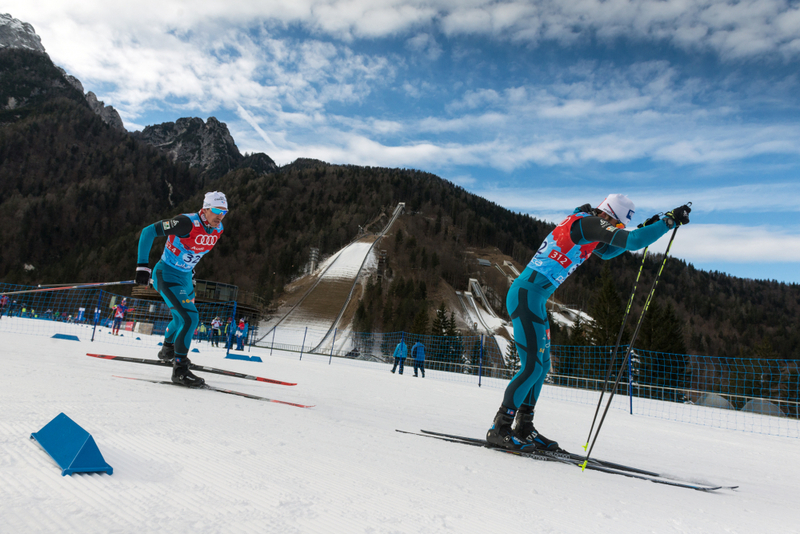 Yesterday's sprint races were followed by individual competition of the FIS-OPA Continental Cup in Planica. Today 330 athletes from 26 countries battled on the Nordic Centre's 2.5 kilometre track. On the men's side the French were dominant and took the first four places of the 10 km race, with the best three being Jean Tiberghien, Mickael Philipot and Valentin Chauvin. The fastest female skier was Italian Sara Pellegrini, her teammate Caterina Ganz took the second place, while Frenchwoman Delphine Claudel finished third. Laura Chamiot of France was victorious in women's U20 race and was followed by Anna Comarella from Italy and Barbara Walchhofer from Austria. German Janosch Brugger won again in U20 men's competition, Frenchmen Hugo Lapalus was second and Italian Jean Luc Perron third. I was in good shape and with good skis. The race was really close and the difference between us was made in the last lap. I had a good feeling in the last lap and I'm very happy with today's victory. It's my first win in this competition, which is good for the rest of the season. The race went well and my legs did good. It was a really good race since this is my first podium in OPA COC Cup and I’m very happy with it. It's a good day for the French team. I think we had really good skis, so I have to say thank you to my coach. I had a good feeling, had a good tempo, so everything worked out well. I'm very happy with my race, the track was very demanding and it was very cold but luckily there was not as much wind as yesterday. I felt good during the race and was able to do my best, so I am very happy with this victory. The skis were really fast, thanks to the service for their work. Today was very cold and I got a bit of problems for this reason but I'm still satisfied with my second place and even for the first of my friend Sara. The track was perfect and I loved it. Tomorrow is another day and I hope to do well in order to bring home the yellow bib with me. The race was good, I had good feelings and I like the track. My biggest goal was yesterdays race not this one, so I'm a bit surprised with the result but very happy. It was very cold today but I managed not to have problems with this.